Two big events in the Great White North highlight the upcoming weekend and neither of them takes place in the usual venue. Recently opened Mohawk Raceway holds the undercard, so to speak, for the big stakes action at Western Fair and Georgian Downs. 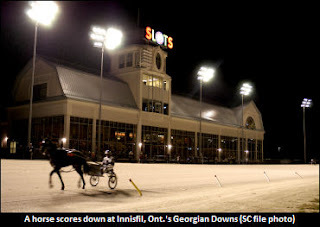 At Western Fair on Friday, May 25, the $300,000 Molson Pace gathers some of our older pacing heroes, while at Georgian Downs on Saturday, May 26, the $600,000 Upper Canada Cup Final is a giant purse for Ontario-sired sophomore pacers. The cards on both of these evenings are stellar. 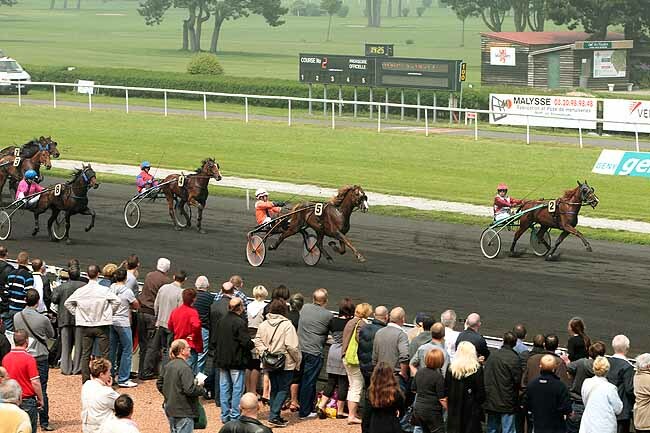 Once again this week we have sires-stakes programs, some covered in our exclusive blog, the Hambletonian Trail. Get to TwinSpires for wagering all of the great races leading to the Hambletonian and “Oaks” and read all the result stories at Hambletonian Society’s exclusive “trail” section. The Meadowlands hosts soph colts and fillies in New Jersey Sires Stakes action again this Saturday as state-breds in those divisions eye the millions on the line in future weeks. Eight of the top older pacers on the continent take on the tough turns and fast traffic at Western Fair in the $300,000 Molson Pace Final on May 25. Foiled Again makes his fourth appearance in this event’s final. He and Atochia are the likely favorites in a talented field that could result in any number of upsets. We see a bargain with Meg Crone’s St Elmo Hero. He has been coming around in form and with the right moves he may be able to get an advantage. He can close and will have to in order to stomp down these fiery studs. Las week he came from post 3 and worked well enough to get here, where he draws the rail. It would be a surprise if he were not in the race from start to finish and no surprise if he commanded the pace and got the best trip to win wire to wire. Also watch for some bargain odds on Richie Silverman’s Razzle Dazzle, a very talented colt on the half-mile. He tried to close in his elimination but couldn’t win. If he starts closing earlier against blistering midway fractions, he may win easily. John Campbell is in the bike, his choice over Clear Vision, who upset Atochia in an elimination. Saturday is the $600,000 Upper Canada Cup at Georgian Downs. Mel Mara is the likely favorite, having impressed us all with a 1:49.3 win in only his second start as a sophomore. An probable outsider, Huxley, may be the horse that can sneak up on this bunch of province-bred pacers. He was shuffled back in his elimination and closed late to get a berth in the final. If he can do that again, he’ll be the major bomber. At the Meadowlands on Saturday, New Jersey Sires Stakes (NJSS) soph colts and fillies go in round two of the series. We are sticking with last week’s choice, Blackjack Princess, in the first filly split. She finished third in leg one after going wide to the lead in an early speed-burning move. If she can save some ground to Rockin Belle, who should be trying to wire the field, she may have a chance to upset. Next, again, we will take Ideal In Vegas. She was sharp to the half and crowded once she was challenged, finishing fourth as the second choice. Her odds should be better than 2-1 here. In the first NJSS colt division, Bullet Bob has the rail and he should leave for position against some speedy types that could smoke their chances by the half. In split two there could be a decent price on I Fought Dalaw from post 10. He looks like he may improve every bit as much as we forecasted and a sweep of this series is not a stretch of the imagination. Watch the board and make a judgment as to how much that outside post is worth to you. Race 11 through Race 14 make up this week’s no-takeout Pick 4. Let’s look at some likely contenders that could make it a worthy hit. (1) Tammy’s War Box was a mild choice last week and going well until broken equipment spoiled the mile. There is not much here to fight, so maybe we can get away with an easy single. (7) Dancing Barry may not fool bettors but it is hard to determine value under these circumstances. This is a non-winners-of-two-races event and since you have to rely on one of these you should make it the one on the improve. (6) Im The Money was gaining late at 7-1, racing better than those odds while finishing third. (8) Whendreamscometrue could wind up with a great trip from post 8 and redeem himself for losing as the choice last week. (3) Bo Knows Power won a dynamic mile last week, with a lot of early and late strength. It is difficult to think he will bounce here but if he does he could get stymied by (8) Schemes. That one had a tough outside go of it while being well supported at 5-1 and finishing third. This is substantially speedier than most different types of credits or advances. The brief timeframe time of the credit implies that the commitment is brief and, if reimbursement occurs on time, you won't need to calculate the advance reimbursement additionally planning.